Seeking justice in Malaysia. Wikipedia insists that kangaroo courts did not have its origins in Australia, where kangaroos come from. 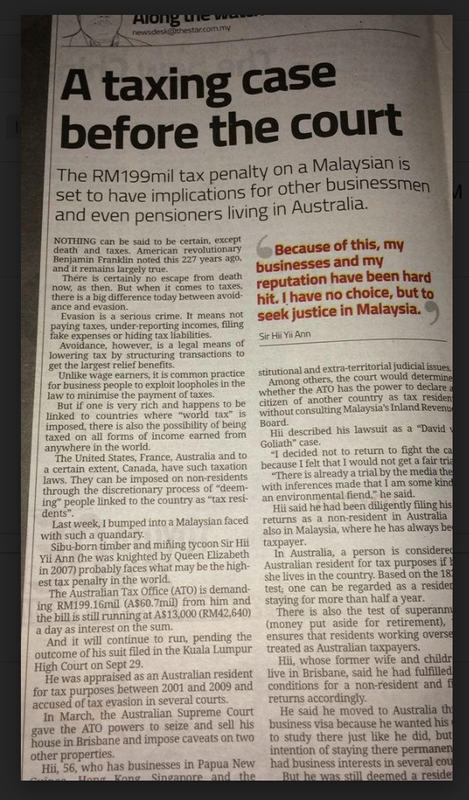 If that's baffling to me I can't imagine what Sarawak-born Malaysian businessman Hii Yii Ann might be thinking. 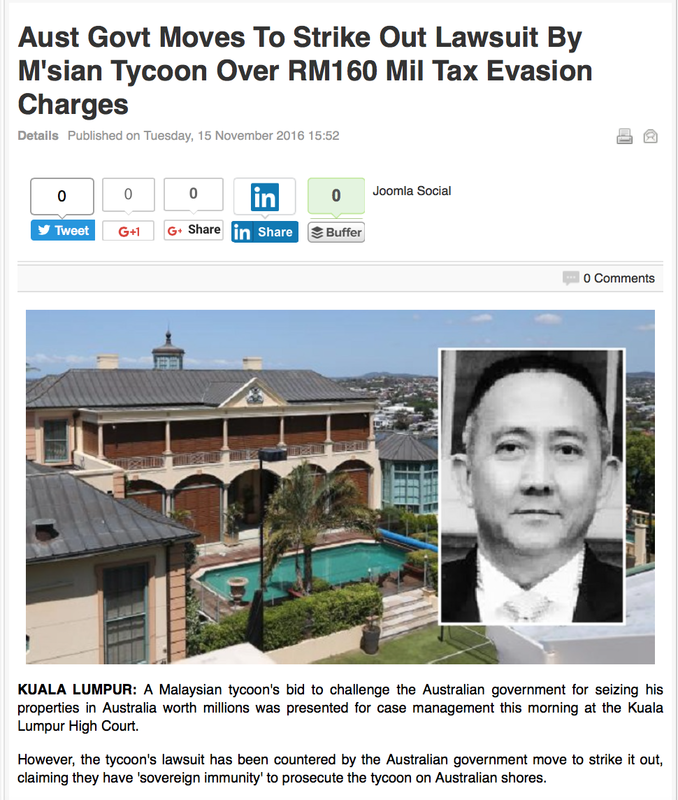 Hii, 56, is fighting a decision by the Australian courts about his tax residency status that could rob him of AUD50 million! Hii, a Malaysian passport holder who has never applied to be an Australian resident, says he's submitted to the Australian authorities documented proof that he is a Malaysian taxpayer and has never lived anywhere near long enough in Australia to be deemed the country's "tax resident". 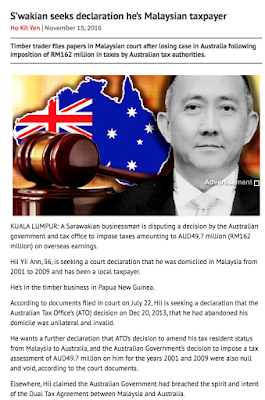 Yet, the Australian court deemed that he had denounced his Malaysian tax residency status and, therefore, owed whatever he had earned to the Australian Tax Office. 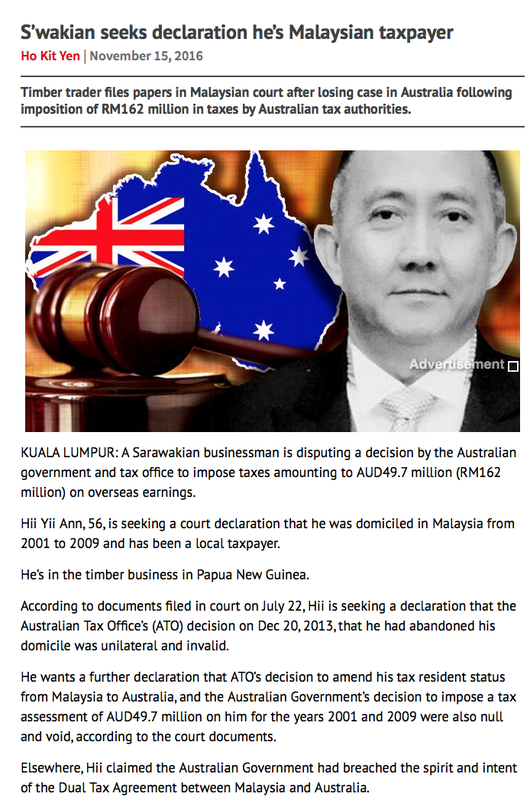 In response, Hii has filed an unprecedented lawsuit in the Malaysian court against the Australian government. The case management took place at Jalan Duta yesterday. Free Malaysia Today and the Malaysian Digest have the story; the Star carries an analysis. And prominent Facebook crime-fighter Dave Avran writes, If you own land or property in Australia, you need to read this. No lazy cut & paste article on Bersih? Awwwwww.